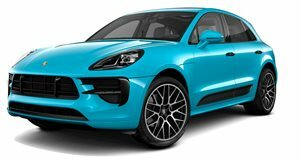 Like most automakers, Porsche restyles its vehicles from time to time (however subtly). But the sports cars and crossovers it produces aren't the only things being refreshed. Launched under the tagline "Destination Porsche,” the German automaker has rolled out a new look for its dealerships, designed to appeal to both new customers and existing ones – not only to move metal, but to serve (in the company's own words) as "a central gathering place for the Porsche community.” And it's already debuted the first new location to get the new design, right here in America. Porsche Palm Springs in California serves as the prototype for the fresh design (pictured in the four images above and below) . It features an aluminum and glass facade with red LED lighting. Inside the showroom has been reconfigured around flexible "themed modules” – which, in the case of the Palm Springs location, includes Product Highlights, E-Performance, Certified Pre-Owned, Classic, Porsche Tequipment, Porsche Driver’s Selection store, an Owner’s Collection delivery area, and a Fitting Lounge for choosing vehicle colors and interior materials. There's more social spaces as well, including a "Porscheplatz” lounge, café, kids corner, and a second-floor event space. The Palm Springs location officially opened on March 15 after a year-long construction process. 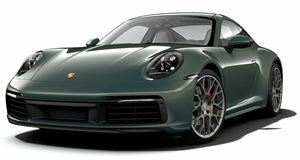 Expect every one of Porsche's 650+ dealerships around the world (like the ones pictured below) to follow with the new design (starting with Dortmund, Germany, and Hangzhou, China in the middle of next year), along with the company's own urban Porsche Studios and pop-up stores.